Innovative selfie drone, 1080P HD pixel camera allows you to get great selfies effortlessly. Gesture photographing optical flow positioning follows HD dual camera switching. Function: Folding,One key Start/ Landing，Attitude hold,optical flowing,Doube camera,Wifi connect,APP control,Palm control(aircraft rise and fall),smart portrait recognition follow,real-time transmission,Gesture photo,Gesture video,Trajectory flight,3D Rollover stunt,headless mode,speed control. 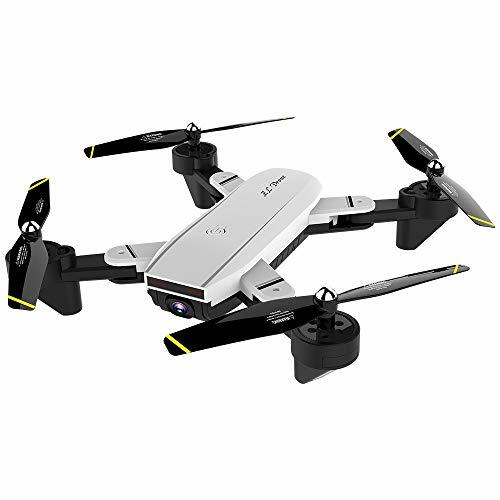 ✔ Innovative selfie drone, 1080P HD pixel camera allows you to get great selfies effortlessly. ✔ 6-axis gyro, gyro calibration function. With attractive headless model, completely solving pilot loss-of-orientation problem. ✔ 3D flips with amazing agility provides a stunt aerial show. ✔ Wifi real-time transmission and phone control which can capture photos and record videos for your great memory. ✔ Built-in barometer with altitude hold function provides stable flight. Gesture photographing optical flow positioning follows HD dual camera switching.